Kare-kare is a Philippine stew complemented with a thick savory peanut sauce. It is made from a variation base of stewed oxtail, pork hocks, calves feet, pig feet, beef stew meat, and occasionally offal or tripe. 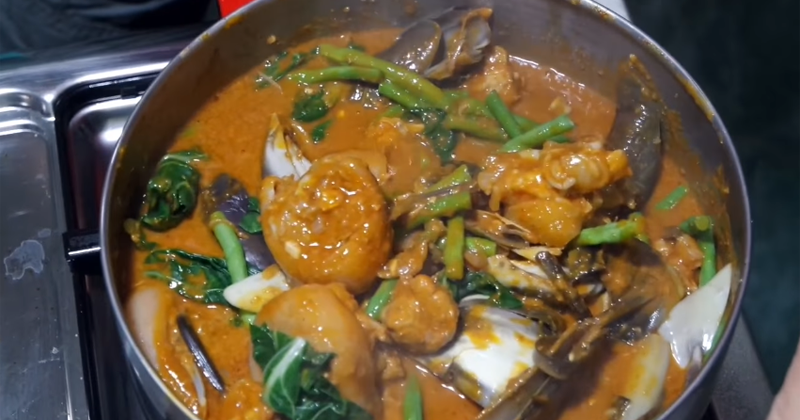 It’s history is vague with several sources suggesting that Kare Kare might have originated from Pampanga, or might have been a regal dish of the Moro elite before Spanish arrival, and it could also have been from Indian soldiers who settled in the Philippines during British Invasion.